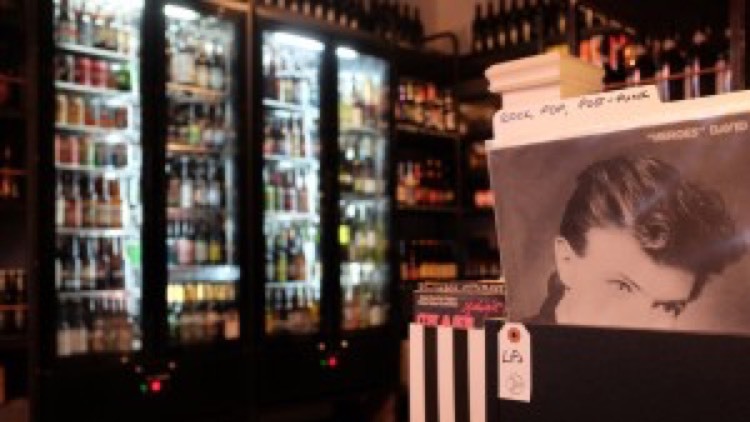 Craft beer is undeniably cooler to drink than lager; so when a local shop opens selling ‘craft beer, hot sauce, records and good times’, you realise the boundaries of niche are ever growing. For those who venture south of the river, East Dulwich provides the resting place for the awesome Hop Burns & Black – the ultimate ‘offy’ in town. How many times have you popped to your local shop to grab a few beers, only wishing you could select hot sauce from the hundreds of options, whilst picking out a vintage vinyl to listen to – oh, and experience ‘good times’ at the same time? A problem until now? A problem no more! This is a great example of where ultra-niche works and it feels that it’s happened naturally. The rise in interest of craft beer is indisputable and what I think HB&B have done so well, is that they’ve created a semi-cult destination – it’s unique, quirky (the good type), engaging and has a strong following. As someone who loves to learn; you are able to soak up beer trivia whilst the energised and knowledgeable staff coax you towards trying new things. You get the feeling when you’re there that you are supporting a growing industry, which over the past decade has really struggled. In fact, you’d have to go back as far as 70 years to find as many local breweries in the UK as we have now, and South London seems to be going through a massive regeneration of micro-brewing and hipster-style drinking. Goodbye wine bars, hello beer with beards!